The Puma series is an efficient, multipurpose tractor line designed with just the right size and power to handle a variety of tasks in your operation. Time is money. So slowing down on hilly terrain, tiptoeing through tough spots in the field, even spending too much time controlling your tractor, can all cost you. 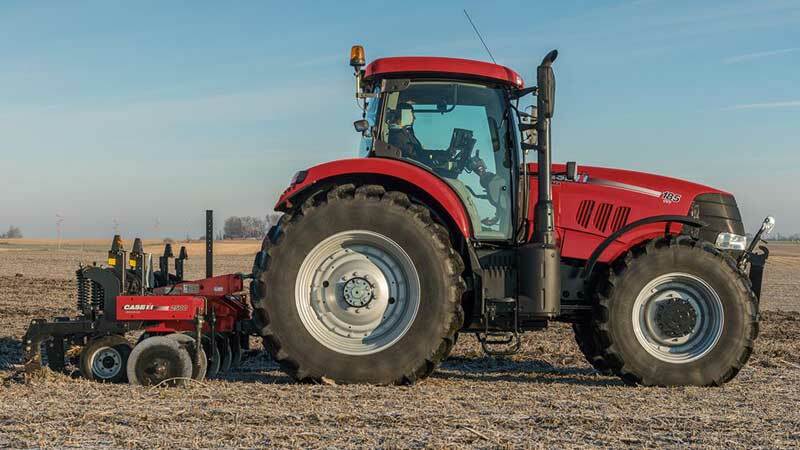 The Case IH Puma lineup has plenty of power in a mid-size package, plus features like Power Boost, Power Growth, and the Continuously Variable Transmission option to deliver more power when and where you need it most, while keeping you productive. It's the nature of farming today producers need to cover more ground in less time. You can't afford to be sidelined for costly service or lengthy maintenance. That's why we engineered Puma tractors with rugged Case IH components proven to provide years of reliable service. And why we added features like the easy-opening hood, convenient service steps to the cab and a right-hand service access door for easy cleanout and serviceability. We also made sure that daily maintenance checks are quick, easy, and at eye level. With all operators controls in a centrally located multi-control armrest and ergonomic design ensures efficient operation and reduces fatigue. Outstanding visibility in all directions with a huge glass area of 63.2 square feet including the high visibility roof panel option. Plug and play auto guidance ready from the factory. This Tractor is field ready and wants to work for you.